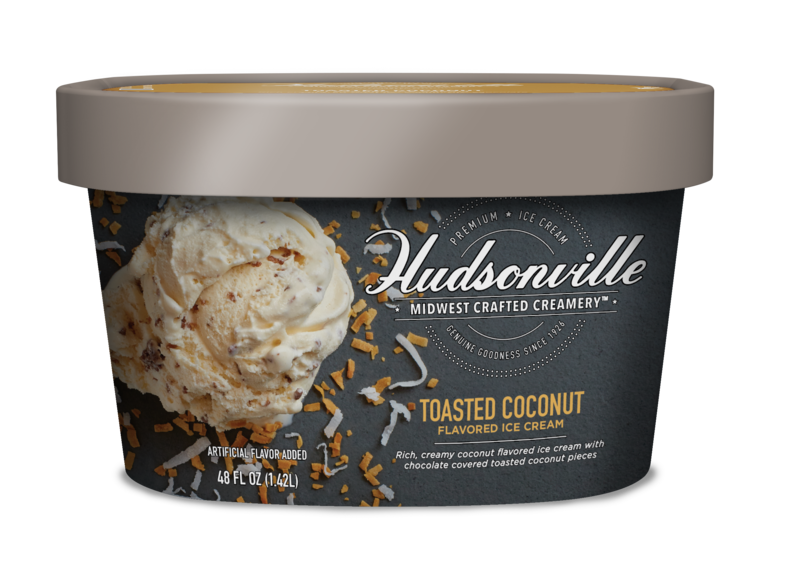 Chocolate covered toasted coconut pieces mix with rich, creamy coconut ice cream to make every bite like a little island getaway. The only thing missing is sand! Milk, cream, sugar, coconut bits (sugar, coconut, coconut oil, cocoa, dextrose, salt, alkalized cocoa, soy lecithin), corn syrup, skim milk, whey, natural and artificial flavor, mono and diglycerides, cellulose gum, guar gum, annatto (color).